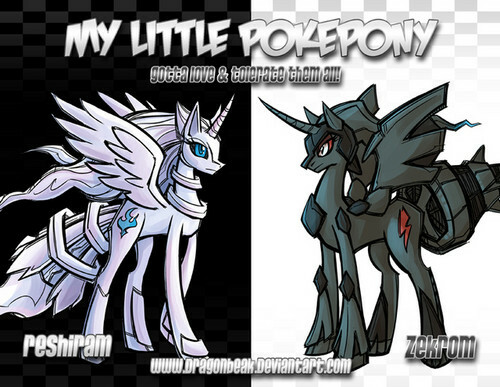 My Little Pokemon. . Wallpaper and background images in the My Little Poney club tagged: my little pony friendship is magic pokemon. This My Little Poney photo contains anime, comic kitabu, manga, cartoon, and mkono. OMFG, this just made me really excited for pokemon black and white 2 to come out.